The big butterfly count 2018 is now well underway with records from all parts of the UK being invited. The count is organised by Butterfly Conservation and runs until the end of August and is open to everyone and is easy to take part in. It only takes 15 minutes during bright weather and full details are available at www.bigbutterflycount.org. The count is an annual check on changes in butterfly numbers, which is important in helping to identify how various butterfly species are reacting to changes to their environment and potentially may flag up early warnings for other wildlife losses. The garden is proving to be an ideal place to sit each day with a cup of tea for 15 minutes and watch visiting butterflies. So far small white butterflies occupy top spot with holly blue holding onto second place, which is surprising for a species once uncommon in the Wakefield district. Some of the same individuals appear to stay in the garden for several days patrolling a long hedge, which contains plenty of ivy looking for suitable egg laying sites. 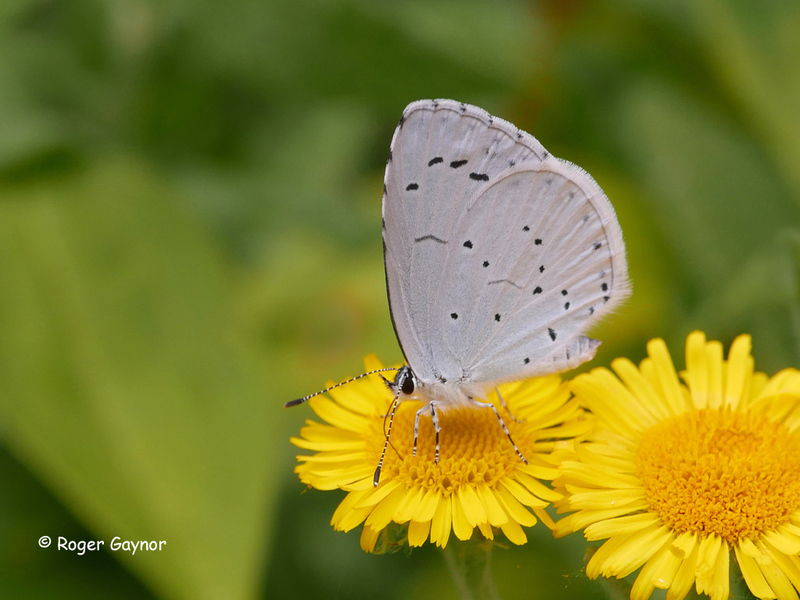 Images of a female holly blue feeding on common fleabane and a tiny egg placed just below a developing ivy flower bud are attached. There are generally two broods each year. 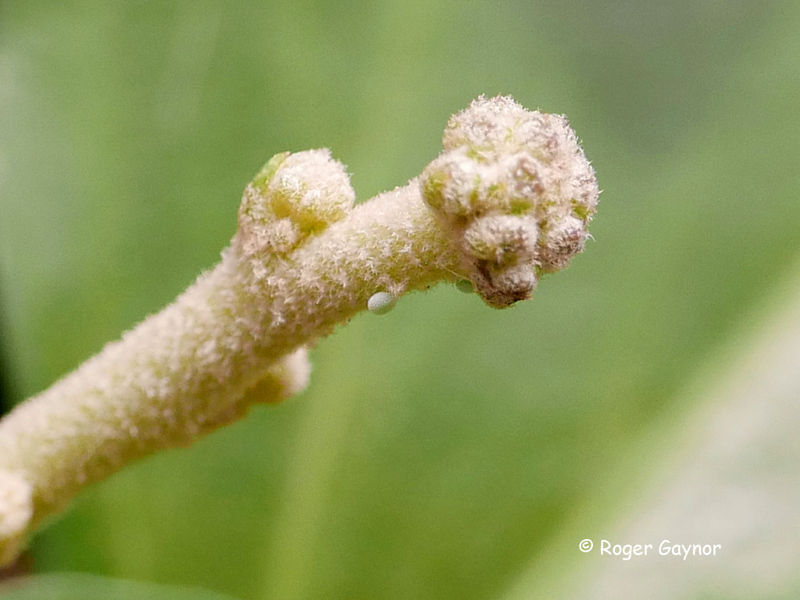 The holly blue overwinter has a chrysalis with the adults emerging in early spring when the first eggs are generally laid on holly. These form the second brood of adults at this time of year, which lay eggs on ivy although other shrub species may be used. Other species continue to visit the garden, but not necessarily in the 15 minute recording time. These include large white, green veined white, speckled wood, ringlet, meadow brown, gatekeeper, comma, small tortoiseshell and a single small copper. This entry was posted in butterflies and tagged butterflies in Wakefield, butterfly count, summer, Wakefield widlife by Roger Gaynor. Bookmark the permalink.